In addition to regular bar liability insurance, you also need to include liquor liability insurance in your night club insurance package. Liquor liability insurance is A MUST! Liquor liability insurance is the kind of insurance for bars and night clubs that protects them from any problems that may arise from the use of alcohol, including what may happen to customers after they leave your establishment. 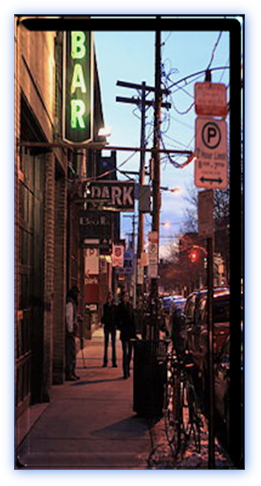 For more about this kind of bar liability insurance see our article: Liquor Liability Insurance. Disaster Insurance: Disaster insurance is a form of commercial insurance for a bar that covers the kinds of property damage that natural disasters like flood s, earthquakes and hurricanes can do to your establishment. Disaster insurance is not a must but can mean the difference between reopening after a natural event like a flood and throwing in the towel. This kind of insurance also covers damage from unusual events like riots for example. To find out more see our article: Disaster Insurance for Bars and Night clubs. Theft Insurance: Theft insurance is highly recommended but is not a necessity. Theft insurance, if it is not included in your package, might be a good idea to get as an extra. It is not for the petty stuff but more for the armed robberies or break-ins that steal large amounts of inventory and furnishings. The smaller kinds of theft are more of a managerial problem. 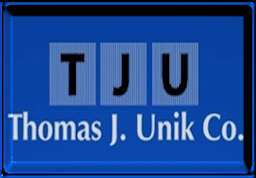 For more about theft insurance see our article: Theft Insurance for Bars and Other Employee Related Insurance. Worker’s Compensation Insurance: Many states require bars and night clubs to carry worker’s compensation insurance which covers injuries to your workers. If your liability insurance covers your workers this kind of insurance may not be necessary. The Theft Insurance for Bars and Other Employee Related Insurance article above has a section about workers comp. Health Insurance: Health insurance is often beyond the means of small businesses. If however you get near or over 50 employees you may now need to carry this kind of insurance. With such a large group you may be able to get it for less however. Insurance will definitely add extra costs to the operation of your bar or night club they are a necessity for any establishment that wants to last. An uninsured business is just one unfortunate event away from disaster. 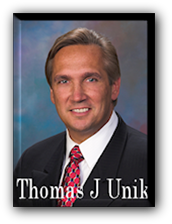 Established in 1936, by Thomas J. Unik Sr., our company has grown to a full service insurance agency that serves the insurance needs of over 12,000 individuals and families and 4200 business concerns in Cleveland, Cuyahoga County and adjacent areas.